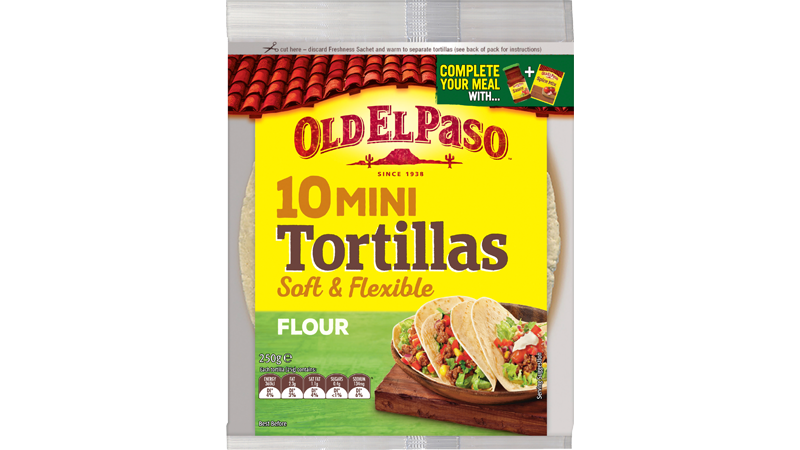 This vegetarian meal from Old El Paso™ makes 10 Soft Tacos using Black Beans, Mini Tortillas, Taco Spice Mix and Thick ‘n Chunky Salsa. All you need to add from there is a few fresh ingredients like red capsicum, eggplant, zucchini and baby spinach leaves and you have a vegetarian twist on a Mexican favourite. Preheat oven to 220°C conventional (200°C fan forced). Place capsicums skin side up on a baking paper lined oven tray and bake until skins are blackened and blistered, about 15 -20 minutes. Remove from tray with tongs and place in a plastic bag to sweat (skins will rub off easily if allowed to sweat in bag). Remove skin, discard and cut capsicum flesh into long strips. Heat a little oil in a large frying pan and cook onion until softened. Add eggplant and zucchini, cook for another 5 minutes. Toss in pan frequently. 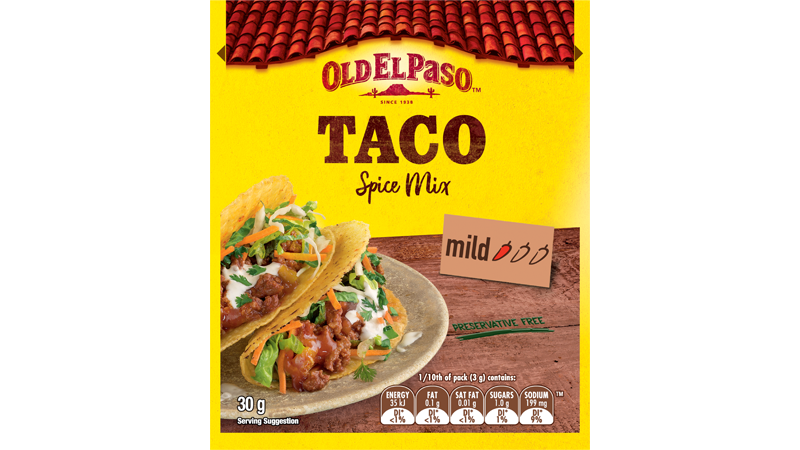 Add Taco Spice Mix and stir to distribute evenly. 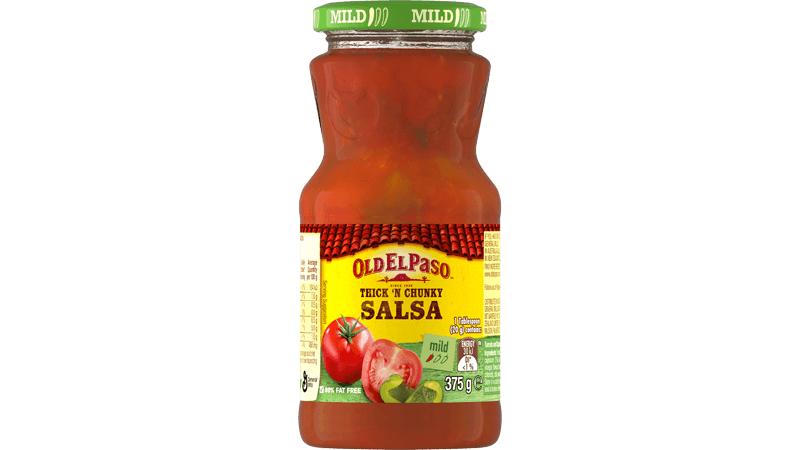 Add tomatoes and cook for a further 5 minutes or until tomatoes are softened. 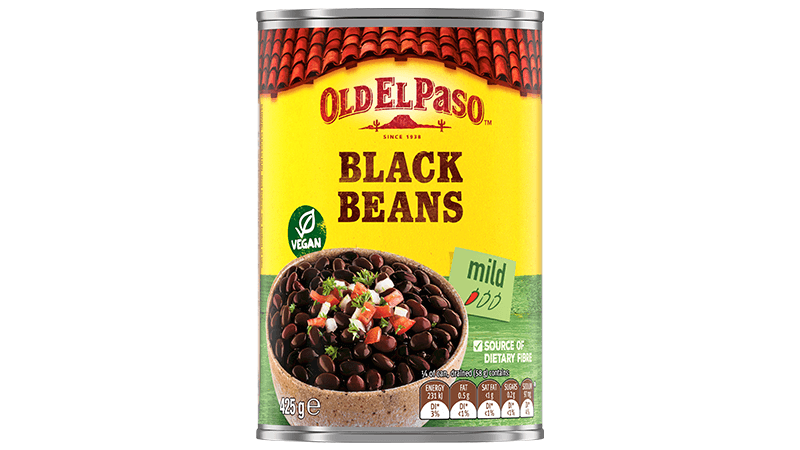 Add black beans and stir until just heated through. 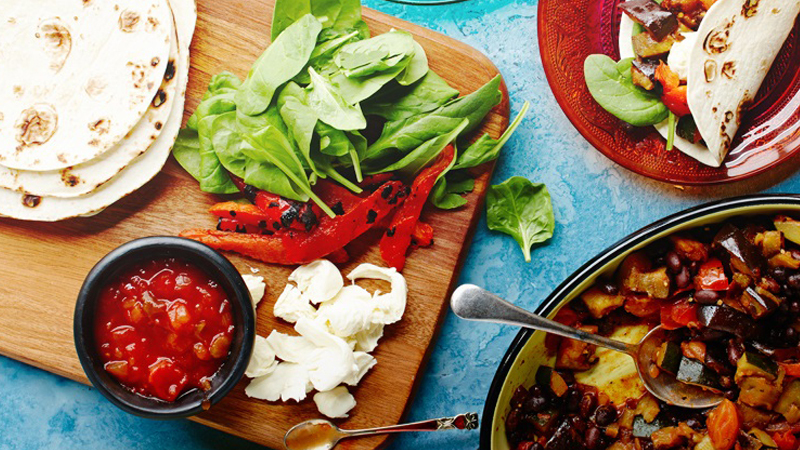 Build your soft tacos any way you like with toasted tortillas, tomato & black bean filling, spinach leaves, bocconcini, sour cream and salsa.